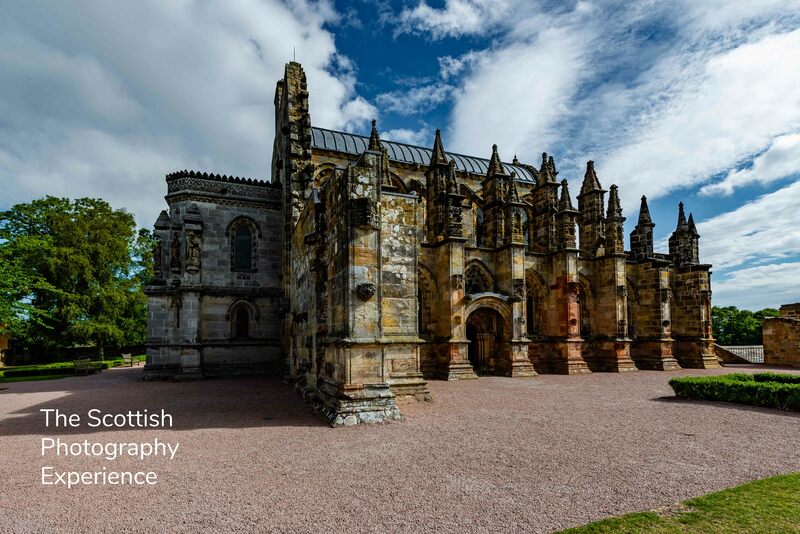 The magnificent and mysterious Rosslyn Chapel. We visit this incredible site on our “4 Abbeys + A Chapel Photography Tour”. Construction on the Chapel began in 1456 by William Sinclair, the first Earl of Caithness. His original plan was for a cathedral sized structure, but he died and it was never completed. 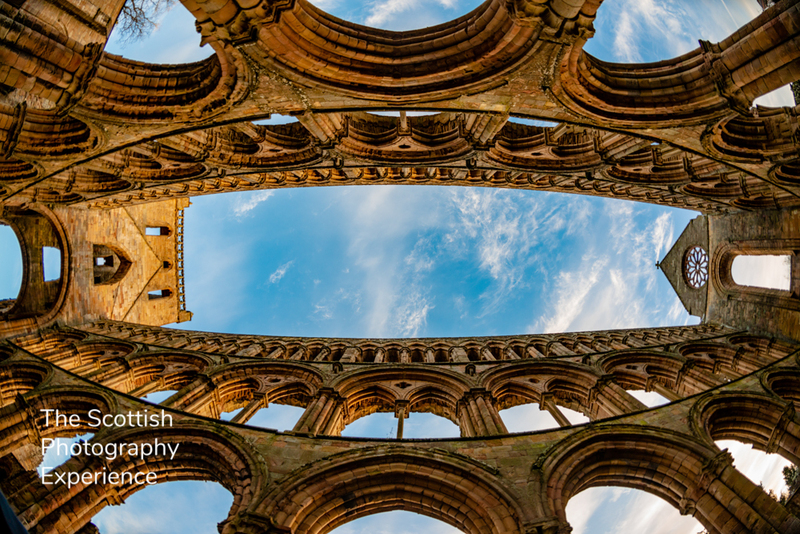 This is Jedburgh Abbey. Shot on one of our “4 Abbeys + A Chapel Photography Tour”. This tour is available to book on Thursdays, but if you give advance notice, we will try our very best to accommodate you on other days of the week. 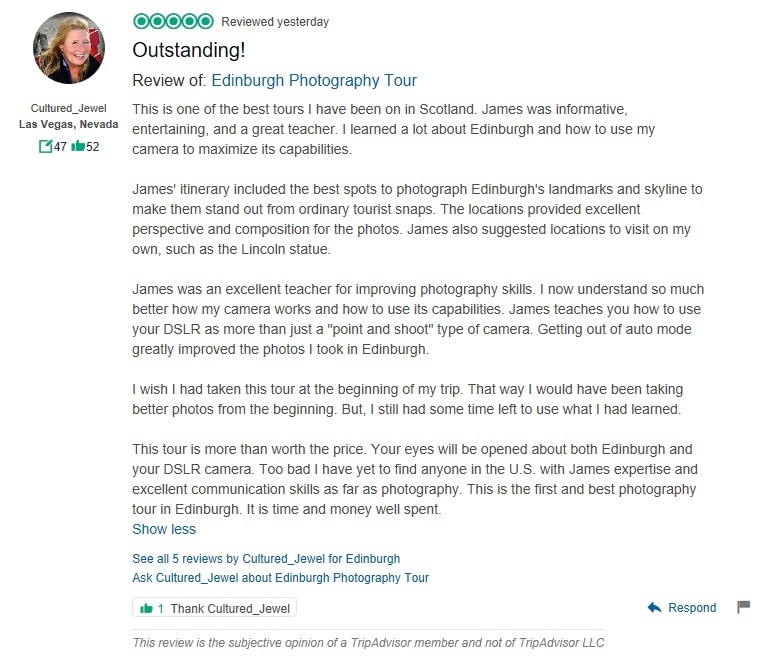 This photograph was shot using a fish eye lens and James is very happy to let you use the lens to capture images as striking as this one.